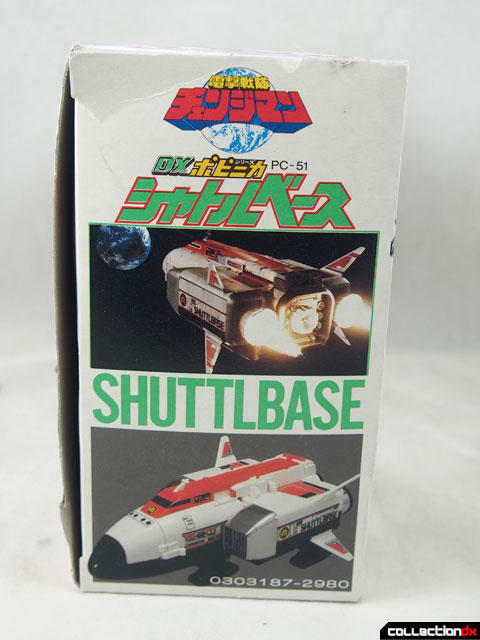 Shuttlebase is the support vehicle in 1985’s Super Sentai series “Dengeki Sentai Changeman”. 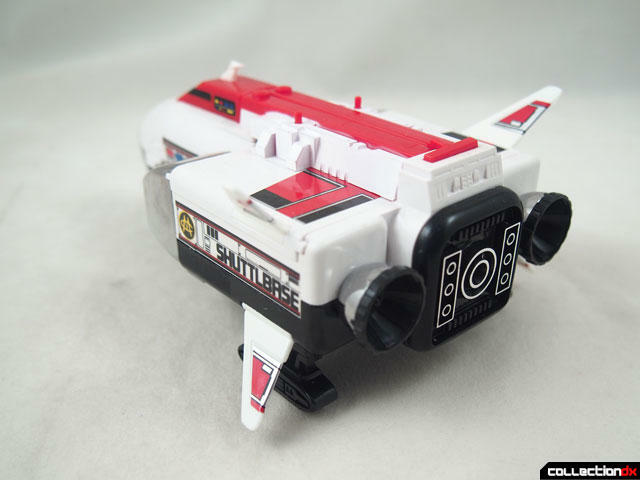 At the time, each Super Sentai series had a support ship that would drive around the various components of the giant robot and deliver it into battle. 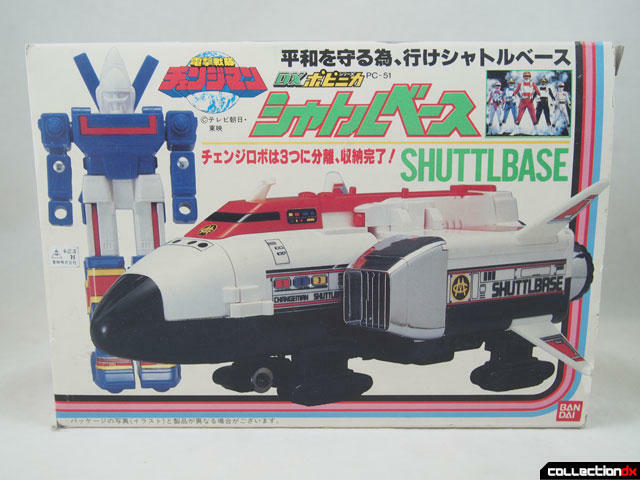 Bandai made both a large “Big Scale” Shuttlebase that was combatible with the DX Chogokin Change Robo toy and a smaller ST Popynica version. 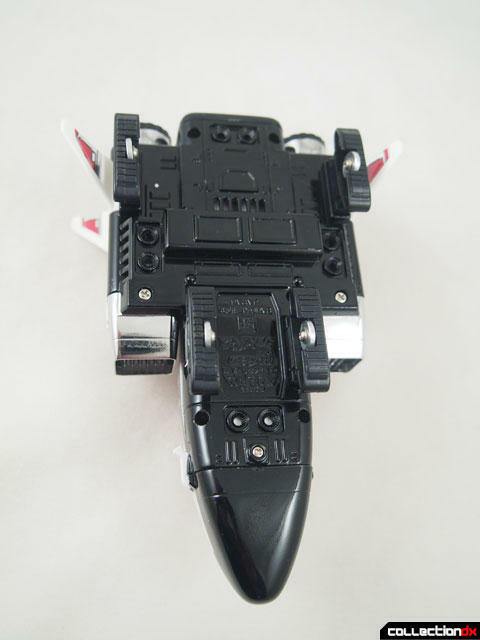 The smaller version had diecast where the Big Scale did not, and also came with its own miniature Change Robo. The box is bright and attractive which was sure to lure young kids to beg their parents to purchase it. 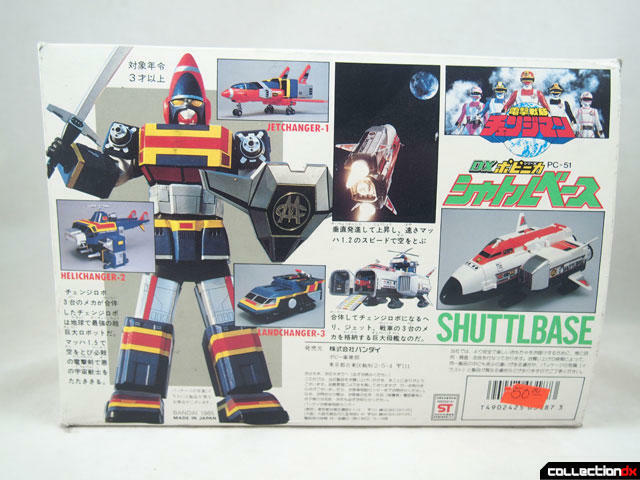 By 1985 Bandai had abandoned the familiar silver Chogokin packaging for a more modern look that was tailored to each particular release. However the toys did still retain their Chogokin number, this being PC-51 in the Popynica sub-line. 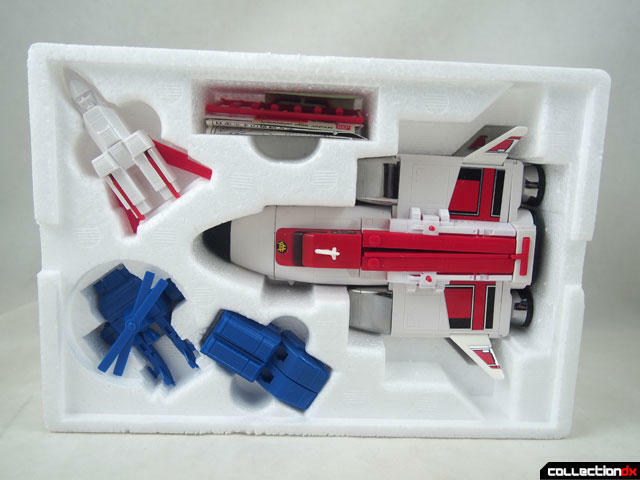 Inside the Styrofoam tray is rather spacious, with parts spread out rather nicely. 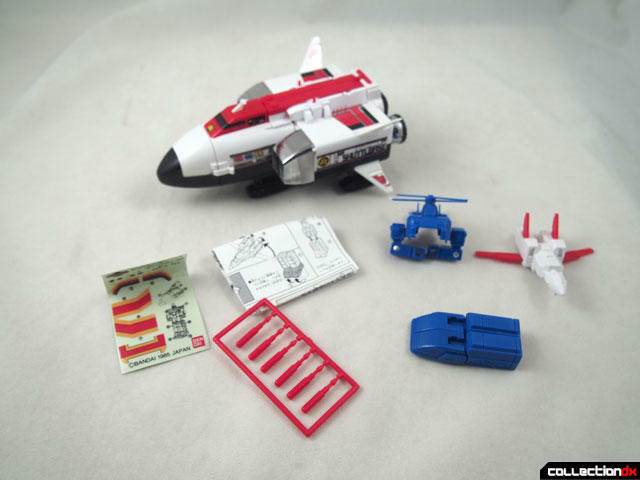 There are parts, missiles, instructions and even a sticker sheet included. 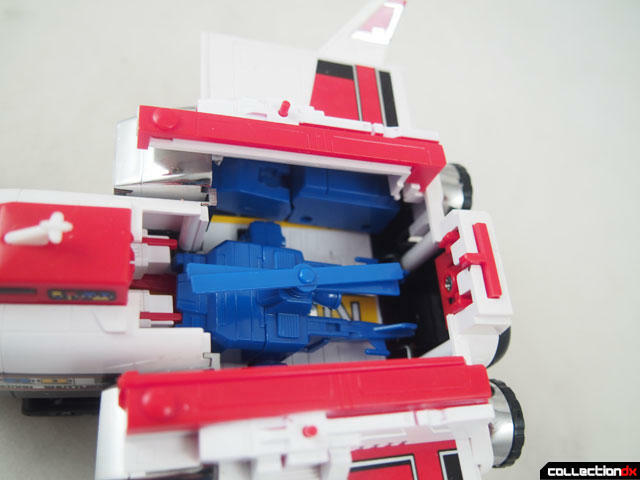 The closed base is a bulky ship with working missile launchers on either side with rolling wheels on the bottom. 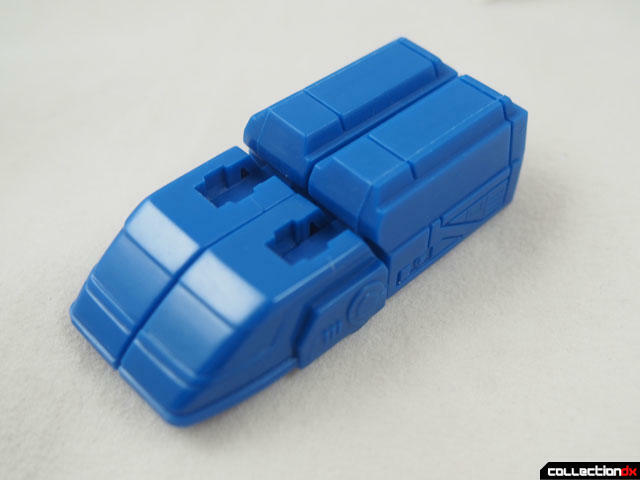 The real joy of the piece is all the opening compartments that house the component parts of the Change Robo. 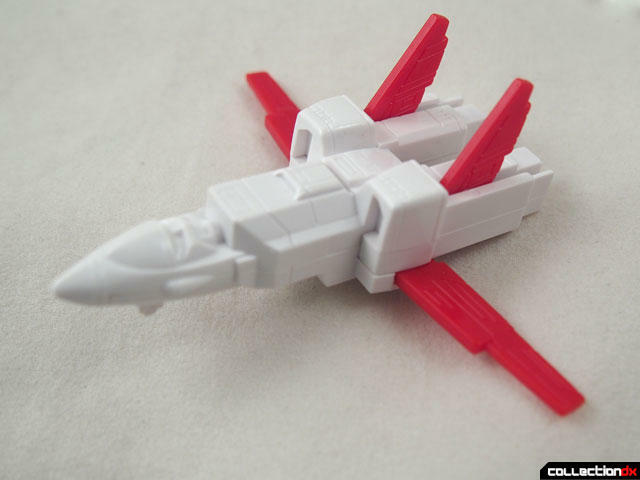 The front nose opens up much like a real world cargo plane. 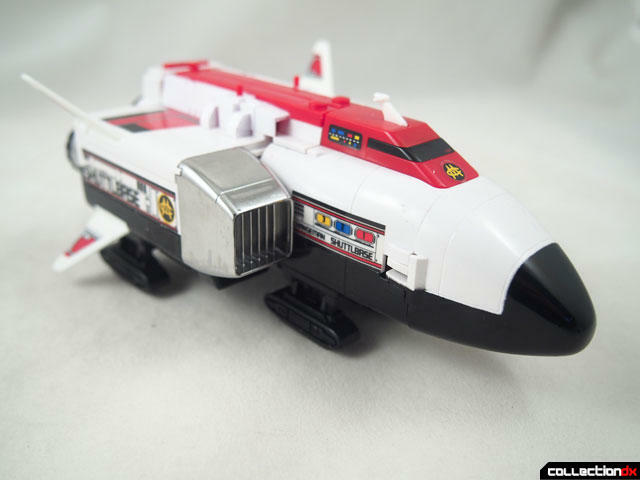 The ramp can be pulled out and the Jet Changer 1 can be removed from the Fuselage. 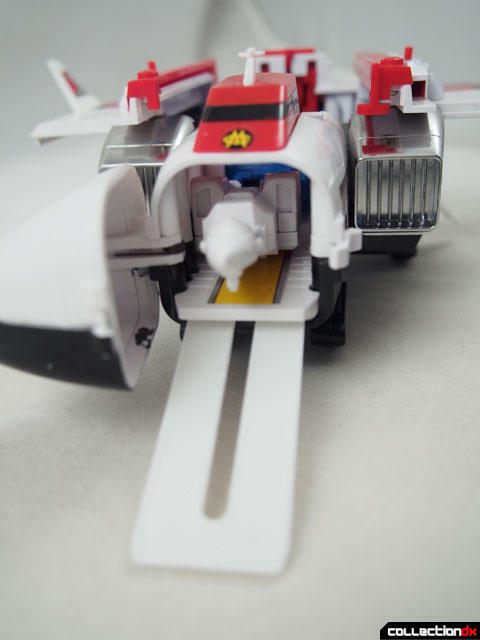 The wings on Jet Changer can sweep back for storage. 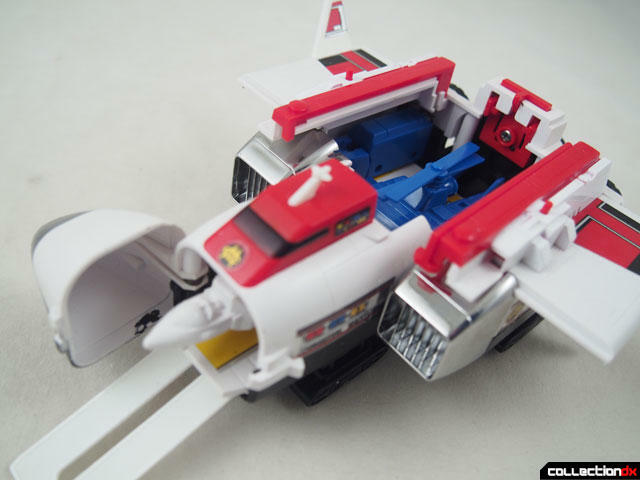 Press the button at the rear and the doors to the cargo bay open up to reveal storage for Heli Changer II. Land Changer III is stored to either side of Heli Changer in the cargo bay. 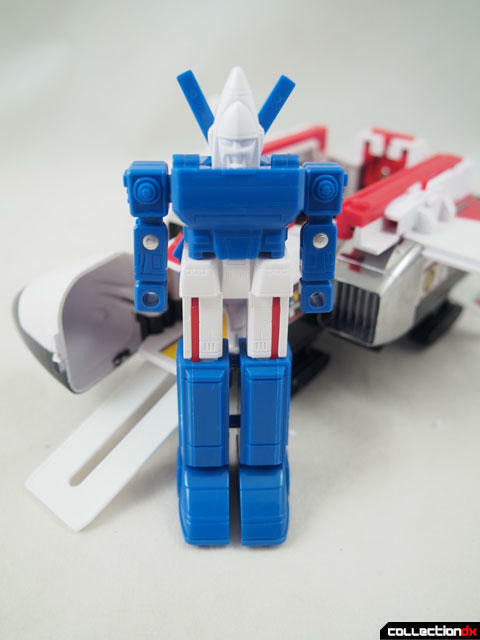 All three components combine to form Change Robo! 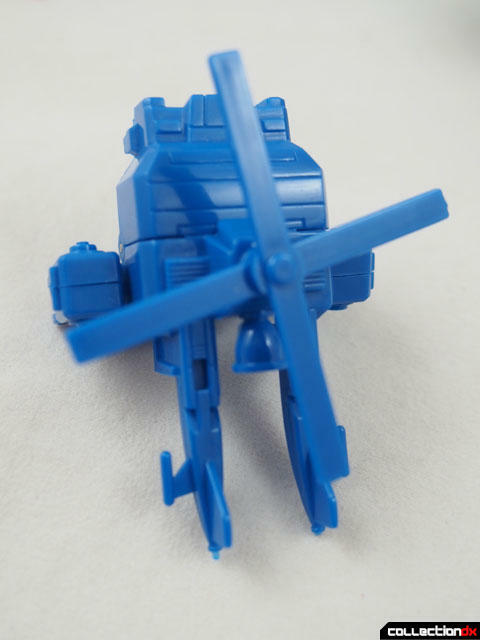 The assembled robot lacks detail, but that can be enhanced with the included stickers if you are so inclined. 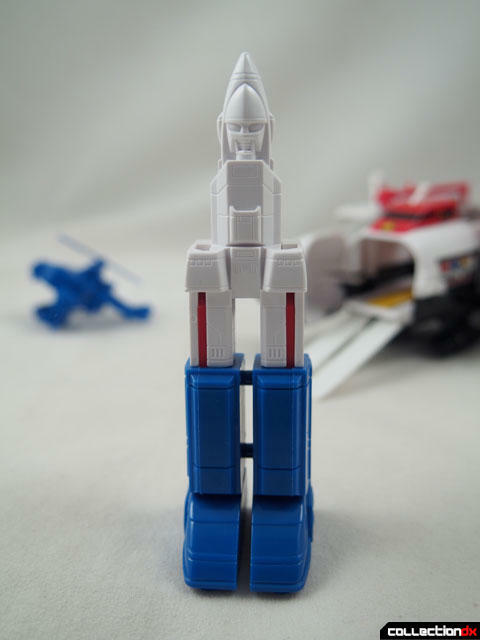 I know it can't separate but can the ST Change Robo be in scale with this? This is incredibly fun! 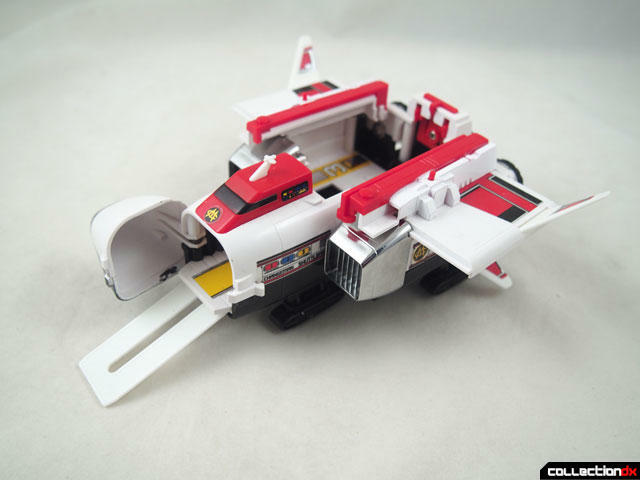 Did they ever make these for other Sentai series, too? 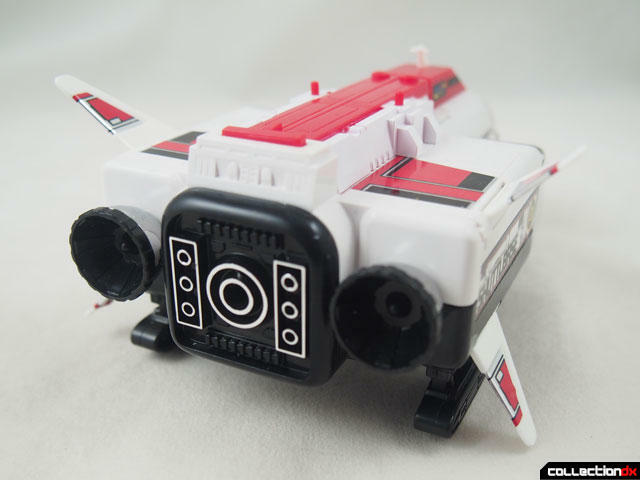 The little combining robot plus the diecast base ship is both adorable and a really amazing concept? It's the kind of vintage item I'd really consider shelling out for.